The coolest running shoes at the Nike store this year are the Nike Air Max+ 2013. They retail for $180, but when you break down the costs for the materials and the manufacturing and labor at the Chinese factory where the shoes are made, you're looking at a product that costs less than $10 a pop. The remaining $170 covers marketing (to make you believe the shoes are worth the premium price) and a handsome profit for Nike. The company reports revenues of about $25 billion a year. It works the same way for many products in the tech world. As gadget enthusiasts, we accept the idea that products are worth what we're willing to pay for them, and not what they cost in terms of product development, manufacturing, and materials. Nonetheless, it's time to name names. Here are some of most egregiously high profit margins in the world of consumer tech. The cost of text messages often gets a bad rap, and for good reason. Our tiny missives--160 bytes in size, at most--typically cost us 20 cents each to send and receive (assuming you don't have a text messaging plan or haven't gone over your limit). They cost essentially nothing to deliver, however, making the markup for an SMS message essentially infinite. Here's the deal: Wireless carriers must send packets of signaling data within the wireless network to set up calls and to signal the locations of devices in relation to cell towers. Back in the mid-1980s, a very clever engineer figured out that we could use the same signaling channel to send short messages during times when real signaling information wasn't being sent. Thus text messaging was born. Because the carrier has to maintain the signaling channel anyway, the text messages cost the carrier essentially nothing to convey. So the money the carrier charges for them is pure profit. Ka-ching. Nonetheless, the price the customer pays for each text message has been rising, from 10 cents in 2005 to the standard 20 cents today. And despite price-fixing allegations and lawsuits aplenty, there doesn't seem to be any chance that prices will drop in the near future. (TechCrunch calculated the cost for the user of texting on a per-megabyte basis at a whopping $1310 per megabyte.) Alternatives, thankfully, are widely available through services like iMessage, WhatsApp, Facebook, and many other systems that use your data service, not the signaling packets, to send messages. Asked to justify the cost of text messaging, the CTIA, the wireless carriers' trade group, told TechHive, "Due to antitrust reasons, we cannot comment on prices. However, U.S. consumers have a variety of options to choose from, including unlimited text message plans." There's no love lost between consumers and the cabling industry. 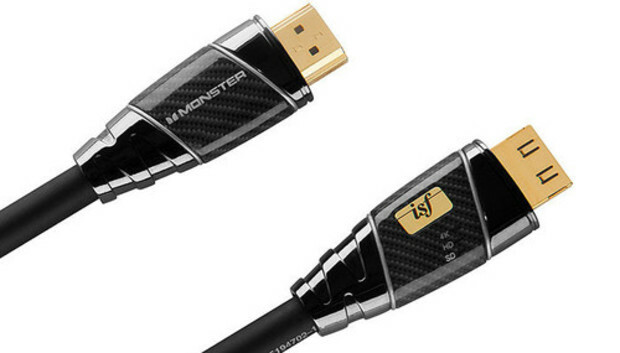 Just look at Monster Cable, which has long been criticized for charging extreme prices--often over $100--for what amounts to some twisted wire with some rubber wrapped around it. Sure, generic cables from Monster's competitors may not bear the THX logo, or boast "hyper speed" certification, or come with gold connectors crafted on the thighs of virgins, but it turns out that the vast majority of people won't need all that stuff. Repeated studies and tests have found no differences between brand-name and generic digital cables. Other studies have found that the performance increase you get with high-end cables is hardly worth the extra cost. In the digital realm, a cable either works or it doesn't. There's no faster or slower, and consumers have long been advised to buy the cheapest cable that works for their particular need. This means buying based on type (for example, HDMI version compatibility), connector size, and length, rather than brand name. It's important to point out that there are different HDMI standards, and while cable "quality" may be a debatable point, not all HDMI cables work with every application. As for the whipping boy Monster, its strategy seems to be having its share of difficulties: Consumers may have caught on to its more-than-50-percent gross profit margins on premium cables, and are buying fewer of them, according to the company's financial statements. Those statements also show that the company spends almost as much on marketing and administration costs as it does on, you know, making cables. Deep carrier discounts often blind consumers to the true prices of smartphones. Really, what's a couple hundred dollars for what amounts to a powerhouse computer that you keep in your pocket and use all the time? Subsidies that the carriers pay directly to all phone manufacturers muddy the picture, but you can get a clearer view of the real cost of a phone if you buy an unlocked model that isn't tied to a contract. At $549 unlocked, the iPhone 5 is emblematic of the dazzlingly high cost of smartphones today (though it's hardly alone). Based on iSuppli teardown estimates, the actual cost of the components inside the device amounts to just $200, or only about 36 percent of the final retail price of the phone. Faced with prices like that, U.S. consumers have been driven to the subsidy model--and it seems to be working. The worst part of this scheme is that we get increasingly ripped off the more features we add on: Apple's 32GB iPhone costs the company only an extra $10 in component costs, iSuppli says, but we pay an additional $100 at retail for it. As for those subsidies, they may seem like a great way to save money on hardware, but those savings are offset by charges built into your service plan. You can, of course, bring your own, contract-free phone to most carriers for service, but that's not usually a good idea: Most charge the same price whether you buy from them or you BYOD. The vendors say that making ink is more difficult than you'd think. HP, for one, says it spends a billion dollars a year on "ink research." Finding out how much profit printer companies make on each cartridge sold is difficult. A QualityLogic study from 2012 found that the average cost of a color ink cartridge is about $21. But the printer companies don't report manufacturing costs specific to ink cartridges, and they obscure the ink-specific profit margins on cartridges in financial reports. Nonetheless, for about $10 you can buy an injection-based refill kit that includes all colors of ink you need for your specific printer, along with special syringes for injecting the refill ink into the cartridge. Or you can spend $80 to buy all new cartridges. HP says home refill kits don't yield accurate prints, but many happy consumers would disagree. Regardless, the price difference between refills and new cartridges exposes printer company markups. We asked HP to justify its pricing, but we didn't get a response. Just remember the business model at work here: The printer companies will sell you a shiny new printer for cheap, knowing they will recoup losses (if any), plus make a whole bunch of money selling you expensive ink during the life of your printer. First, let's kvetch: Considering the robustness and scale of the typical cell phone network, it really costs nothing to add one additional user to the system. When you fork over your $80 or $100 to Verizon Wireless or AT&T, they don't suddenly have to run out and build a tower to accommodate you. In many ways, the incremental cost of another cell phone user is zero. But, yes, it costs money to run a mobile voice and data network. Cell towers have to be built, switching stations have to be maintained, and call centers have to be manned so that you can complain to someone about how high your bill is. All of this stuff costs money, but less than you might think: Verizon Wireless, for example, makes a 63 percent gross profit margin from wireless subscribers, according to financial statements. That doesn't include its depreciation costs (the gradual expensing over several years of the upfront cost of building towers), but even with that included, the company's price markups are high. What about the cost of that investment in rolling out 4G networking? That must be a huge expense, right? It is, and the $2 billion Verizon has spent on 4G LTE development to date sounds impressive--until you consider the $115 billion in revenues the company earned in 2012 ($63 billion in the wireless group). Most of the rest of the money ends up going to the marketing department and, well, Apple (see above). The carriers would tell you that they have earned every penny of that fat profit margin because they, and they alone, built the giant national networks that allow them to provide the service. What they don't often talk about are all the government tax breaks and incentives they've received to build the networks in the first place. In fact, it's no secret that AT&T and Verizon benefited handsomely from the 2008 stimulus package to help them build new networks in the wake of the financial collapse. Say what you want about Microsoft's recent fortunes (or lack thereof): The company's flagship software, Microsoft Office, is still a cash cow. (And don't look now, but the company's stock is near a five-year high.) Before Microsoft's reorganization, the division that made Office was by far the most successful of the company's five units, pulling in $24 billion of the company's $74 billion in revenue last year. The cost of creating the software that made that money? Just $8.2 billion, thus creating a 66 percent profit margin, according to Microsoft financial statements. Considering that the current versions of Office borrow so much from earlier iterations (a dynamic that's true for most software), it's understandable that Microsoft would earn a lot of money on each unit sold. Consumers, however, may be less understanding about footing so much of the bill. Meanwhile, Microsoft doesn't even have the "it's expensive to press discs, stuff boxes, and ship software" argument any more. Most of its software is now delivered online, packaging-free. Microsoft won't comment on the pricing of packaged software. But IDC analyst Melissa Webster did share this in an email: "Microsoft is the only company making these products; about 97 percent of organizations widely use the Office desktop suite (huge adoption) according to our survey research; and "fidelity" (the assurance that you can exchange files with someone else and see no glitches, no formatting loss, and so on) continues to be a big deal. It has proven difficult for the clones to put a big dent in Microsoft's renewal rate." It has become a convenient rallying cry to assume that "the cloud" is always a simple, cost-effective way to ditch old-school hardware while getting all of its features, including physical access to storage space. Nowhere is this more clearly untrue than in the realm of cloud-based storage. To pick on just one company, Carbonite's highest-tier storage system costs $600 per year for 500GB of space. So, you can buy into that, or you can pick up a solid 2TB NAS device for all of $130. The cost of storage space on a server you buy yourself works out to about $0.10 per gigabyte (TechHive estimate). That's an order of magnitude lower than the fee being charged by many cloud-storage companies to store your data on their servers. Because the cost of being in that business is so low, it's possible to find good storage deals out there--offering lower costs and/or unlimited storage--but it's up to you to shop smartly for them. So, how can you avoid getting ripped off when you buy the tech products that you depend on? The simplest solution is to shop around as widely as possible. Do your research and understand the cases where brand names are worth the extra money and where generics will work just as well. Remember that various services come in a variety of forms and flavors. There's no point in paying $50 a month for something when the $25 plan has all you need.